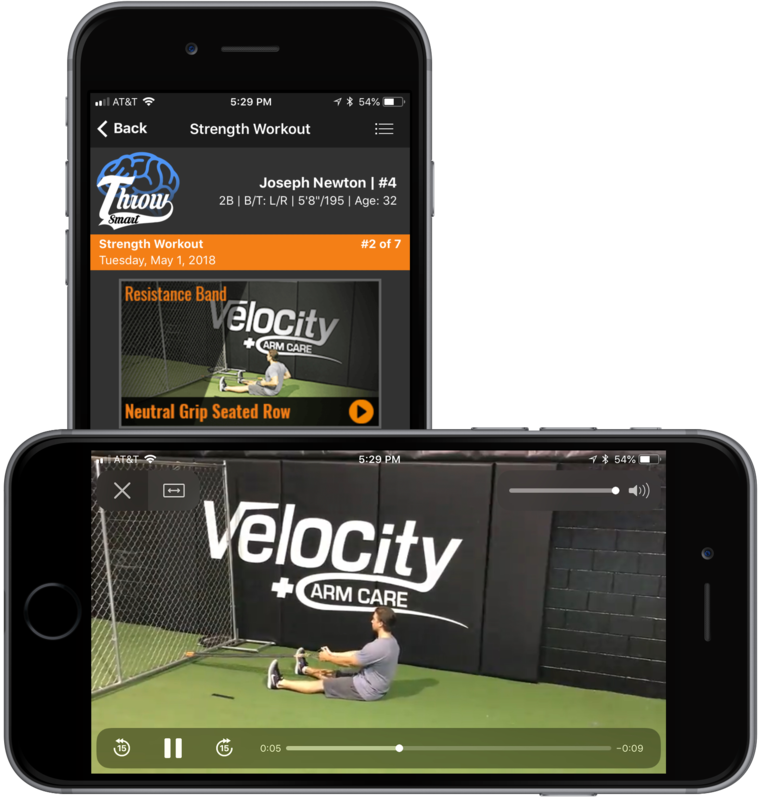 The first and most affordable solution to receive your own personally prescribed warm-up, training, preparation, and recovery programs for in-season and off. ALL conveniently in the palm of your hand. 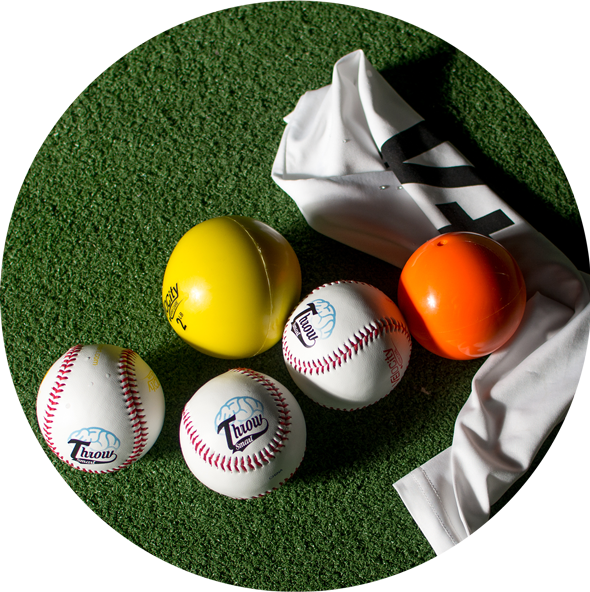 In-Season and Off-Season, whether you prefer weighted balls or long toss. All throwing programs are personalized according to the athletes individual needs, deficiencies, age, stature, and schedule. Limited equipment, no equipment? No Problem! 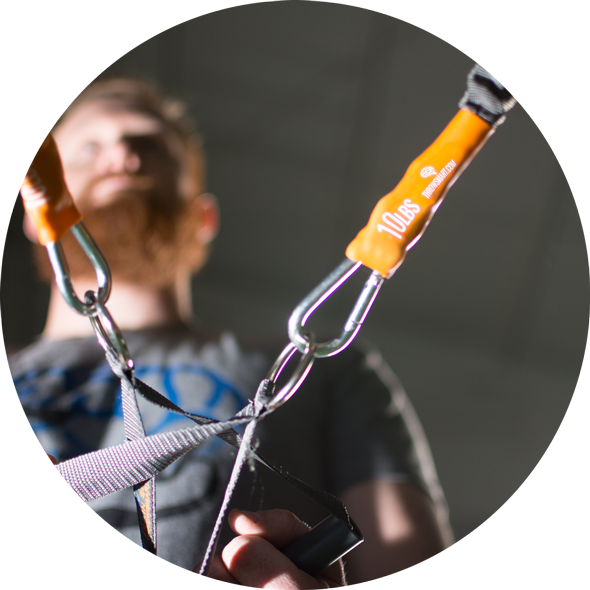 Whether body weight, resistance bands or one of the 16 different implements utilized in the app, there is no excuse why you can't perform a great workout on-the-go. Diamond specific strength training and recovery tailored specifically to the athletes needs, goals and position(s) played. Rotational based exercises are vital for increasing hitting strength and power, with more power based strength training for non-pitchers! Tracks daily output and advises future activity based on the healthy recommended levels. Prescribes workouts, warm-ups and routines in accordance with assessment analytics in order to balance weak links. Over 1000 instructional videos detailing how to perform prescribed protocols. Prioritizes and properly orders daily diamond activities. "When to do what" is a CRUCIAL variable for success! Diamond sports specific exercises and movements designed to maximize performance on the field. Progress reporting and recommendations based upon activity. User friendly regardless of the athletes age or experience. With detailed instructions for every exercise, warm-up, or drill prescribed, eliminates the “how to” questions. Coupled with collecting and computing your information to relieve the “when and what” guess work. 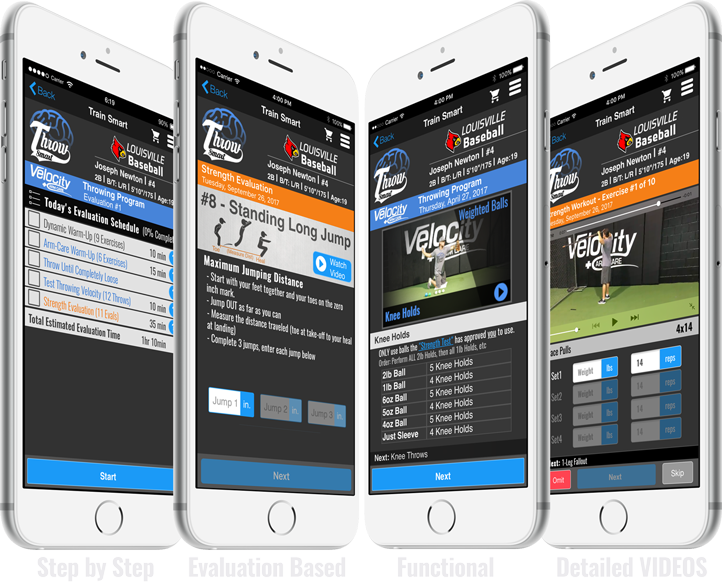 The Throw Smart app truly delivers YOUR OWN PERSONAL TRAINER and baseball instructor right to your pocket, saving you significant time and money. 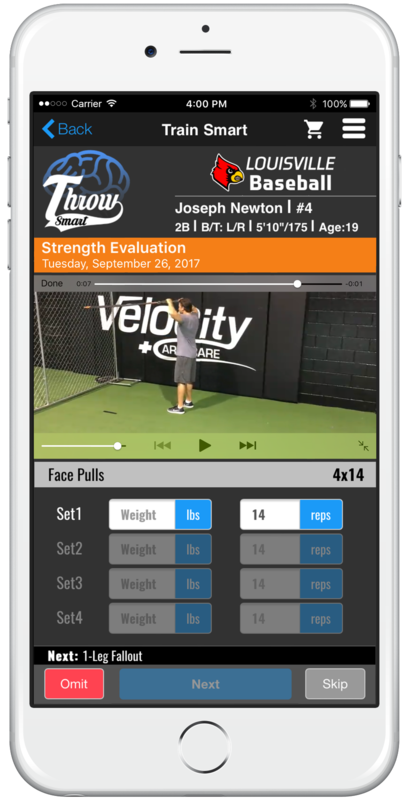 With an expansive exercise library, consisting of over 1,000 instructional videos, athletes need to look no further for expert content. 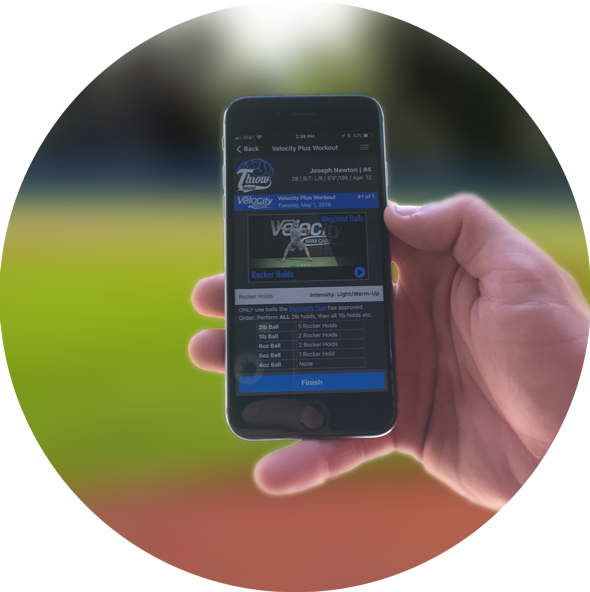 The Throw Smart app customizes programs from the weight room to the hotel room. Catch us at one of the events we're attending and, for just $3 a month, take advantage of the opportunity to pick up our very versatile Throw Smart resistance bands and/or weighted balls. Gym memberships and equipment are expensive and many times inconvenient and/or impractical. 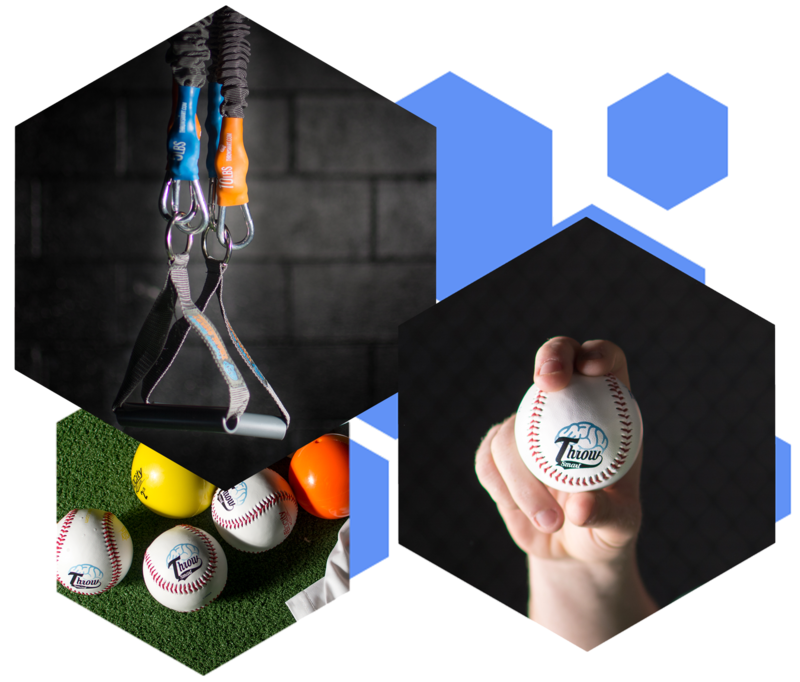 Thus, in an effort to maximize the versatility of the Throw Smart system, we developed and manufactured our own resistance bands and weighted balls. By doing so, we have dramatically increased warm-up, recovery and workout options and opportunity. Further eliminating expenses and excuses, while maximizing the variety of the workouts that can be performed anywhere at anytime! The story of one of our first participants back in 2010, Steve Delabar, who remains a core part of our team. HBO picked up his story and our Program took flight. Fun FACT: Our throwing program was the FIRST to use "plyo" balls! Long time baseball/softball training geeks! And last but not least, working with thousands and thousand of youth and high school athletes across the country to stay healthy and perform at their highest level. Since being publicly recognized on HBO in 2011, our ideas and protocols have been constantly copied, emulated and manipulated, but our goals as a company has remained the same; make a sincere effort in aiding athletes in realizing their true potential, and strive to continually provide the best and most advanced training system in our industry. Feel free to contact us and we will be sure to get back to you. Email support@throwsmart.com or complete the form below.